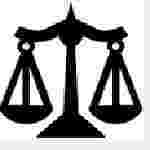 AP High Court Civil Judge recruitment 2016-17 notification apply for 53 posts : Andhra Pradesh high Court welcomes application for the position of 53 civil judge (Junior division) on direct recruitment under the state judicial services.Candidates who completed their Degree in law is a good opportunity.The individuals who are the occupation seekers searching for govt employments in Andhra Pradesh this is the best chance to apply. Competitors read the official notification then read all the guidelines and miners precisely then apply before the last date online application got. All the interested and eligible candidates can apply before 16th September 2016. Candidates Age Limit: The age of the candidate should be up to 55 years. The age of the applicant should be as on 1st February 2016. Academic Qualification Details: Candidates should have possess a bachelor degree in law awarded by any university established by Law in India. Details of Fee particulars: All the interested and eligible candidates are need to pay application fee Rs 300/- for general categories candidates and Rs 100/- for schedule caste categories candidates / schedule tribe categories candidates through crossed demand draft drawn in the nationalized bank in the favor of the Registrar (Recruitment), High court of Judicature at Allahabad payable at Hyderabad. Process of applying for the job: Candidates may apply in prescribed application along with necessary enclosures and crossed demand draft send to the office of the nearest principal district court in the state of Telangana and the state of Andhra Pradesh or to the Registrar (Recruitment), High court of Judicature at Hyderabad:- 500066 on or before 18th September 2016. Important Dates: Last date for the submission of online application is 16th September 2016.